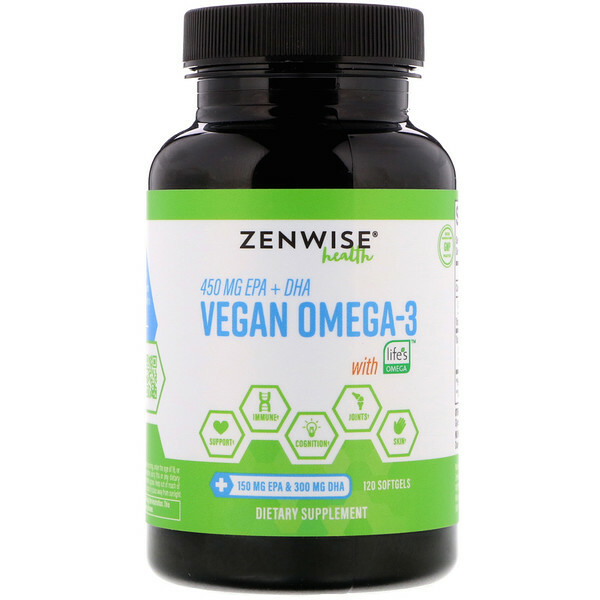 Zenwise Health Vegan Omega-3 is a dietary supplement that features 1000 mg of life's Omega, a vegan friendly source of Omega-3 fatty acids derived from Schizochytrium sp. marine algae. 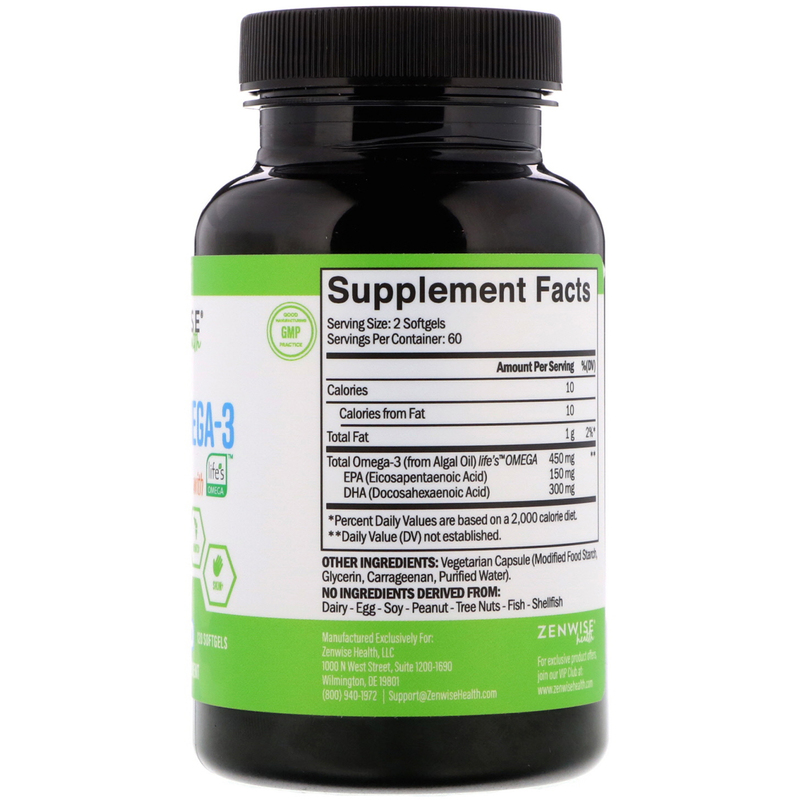 With a high concentration of EPA and DHA, this formula support joint, immune, skin, cognitive, and cardiovascular health to encourage a healthy well-being. Take two softgels daily with a meal, or as directed by your healthcare professional. Vegetarian capsule (modified food starch, glycerin, carrageenan, purified water). Caution: Do not exceed the recommended dose. If you are pregnant or nursing, under the age of 18, or have a known medical condition, you should consult a physician before using this or any dietary supplement. Discontinue use immediately if new or worsening symptoms appear. Keep out of reach of children. Do not use if safety seal is broken or missing. Store bottle in a cool, dry place away from sunlight. *Percent Daily Value based on a 2,000 calorie diet.